Mark your calendars for 2017 Media Day. 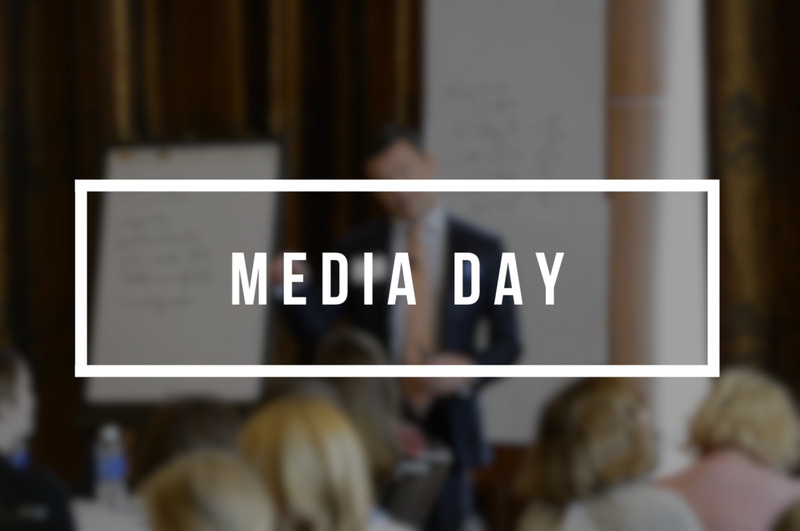 On Tuesday, October 17, attendees can listen and learn from the area's top media representatives and PR professionals. The day-long event features top reporters and producers from print, television, radio and online media outlets. Learn from PR case studies with Blacksmith Award winners and hear from our friends at the Cincinnati Zoo as they give us an update on their more recent media-headlining activity. Media Day 2017 will take place at the Madison Event Center in Covington, Kentucky. This year, we want to give attendees a chance to give back! We'll be collecting new and gently used children's books that will be donated to Adopt a Book, a local nonprofit that distributes books to kids through organizations all across Greater Cincinnati. Help spread the love of literacy by bringing a book with you to Media Day! You'll also get a raffle entry for each book you donate. Look for more details and registration information in the following weeks! If you are interested in being a 2017 Media Day sponsor, please contact Connor Wall for information on packages and opportunities.